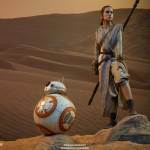 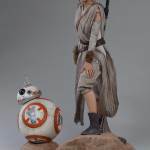 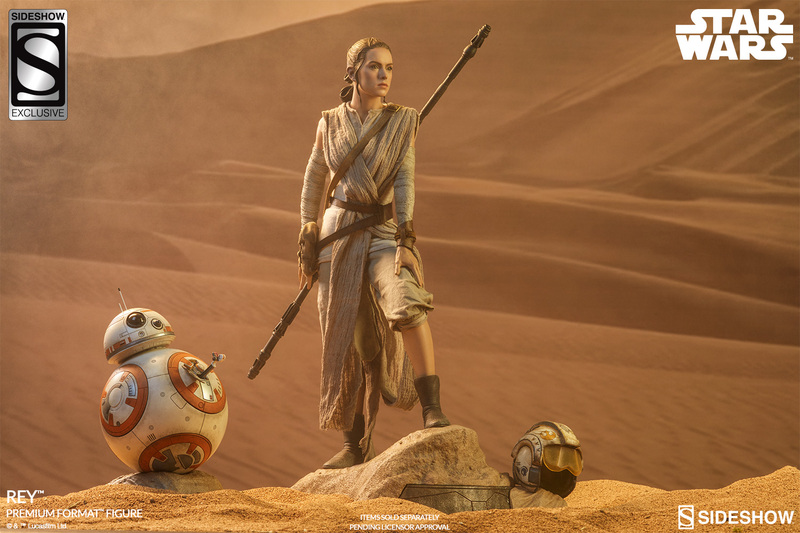 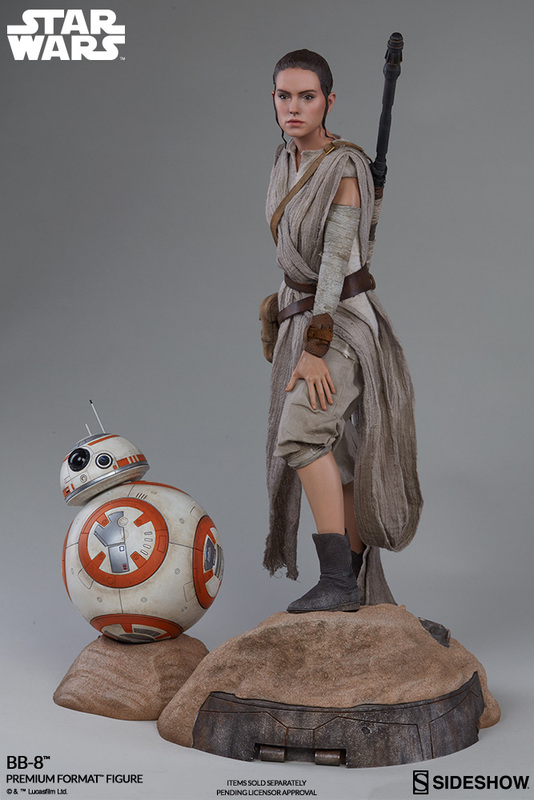 New photos and details have been released for the upcoming Star Wars: The Force Awakens – Rey and BB-8 Premium Format Figures. 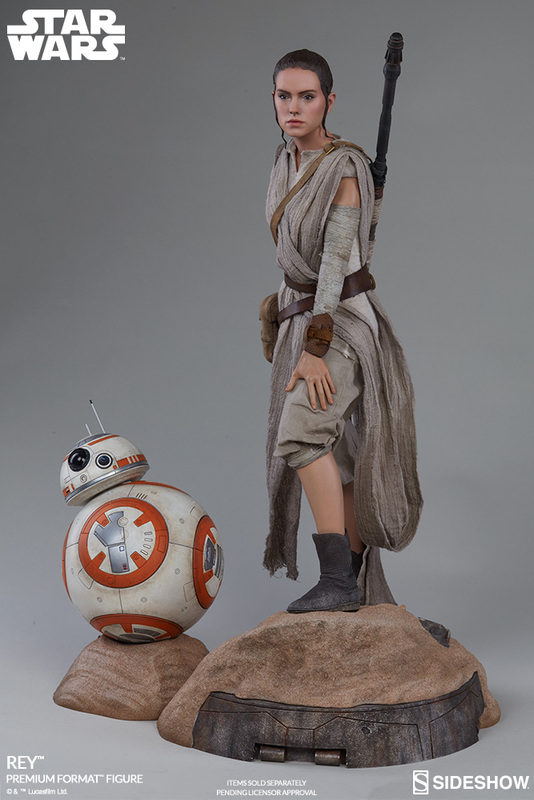 These two statues will be sold separately. 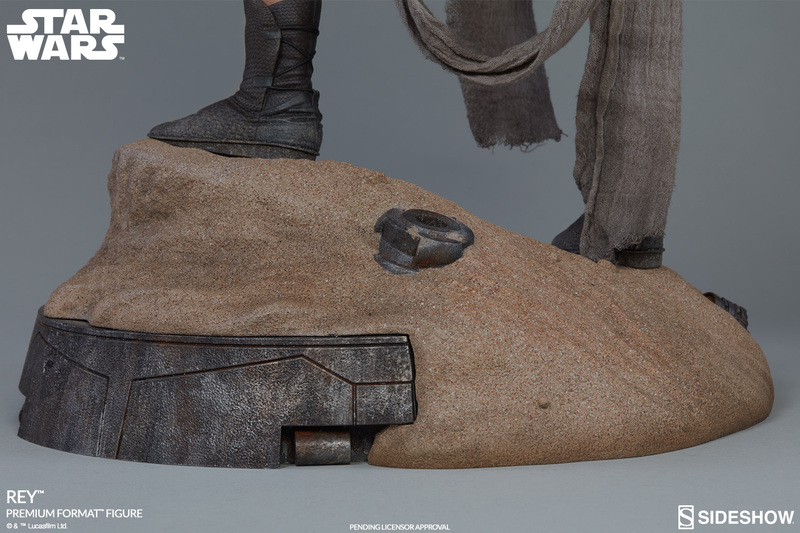 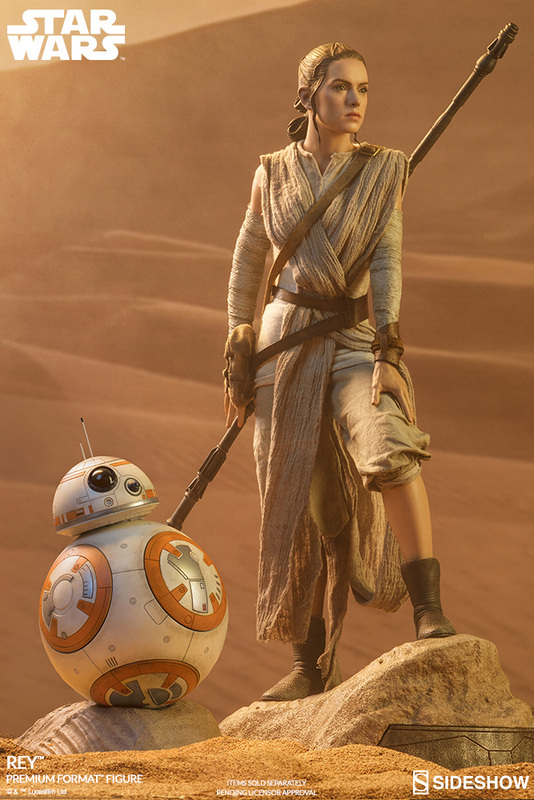 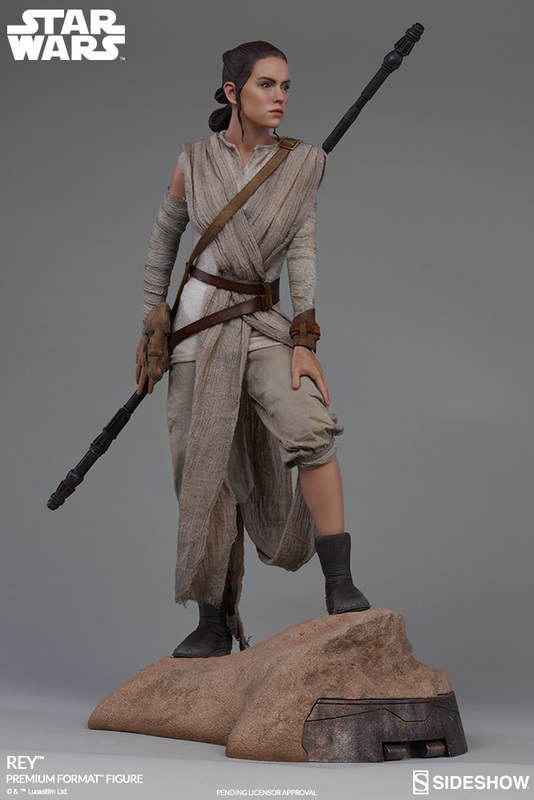 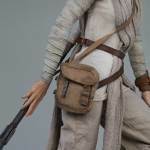 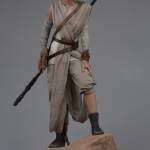 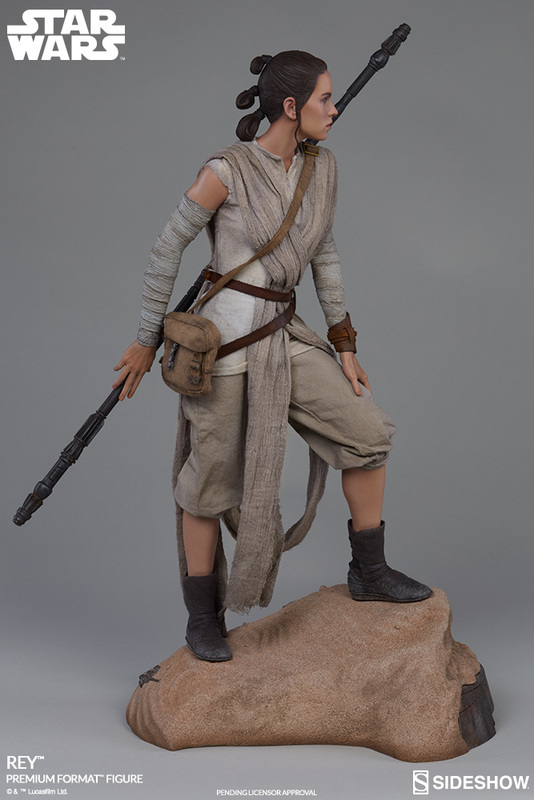 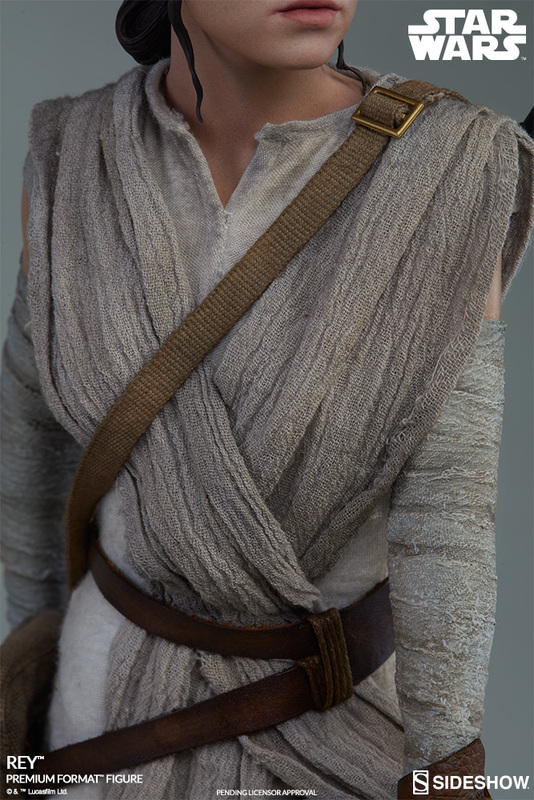 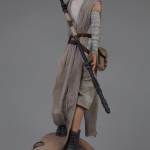 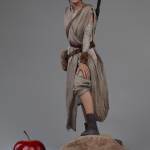 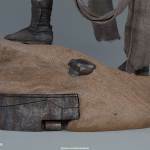 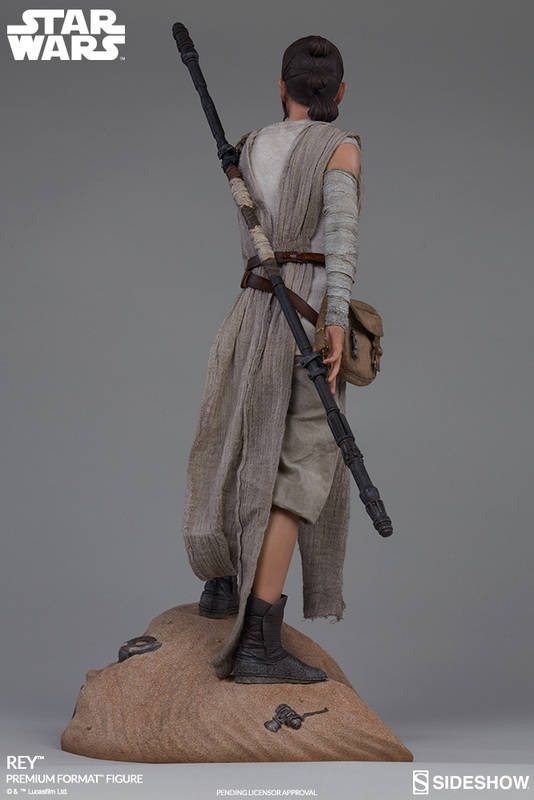 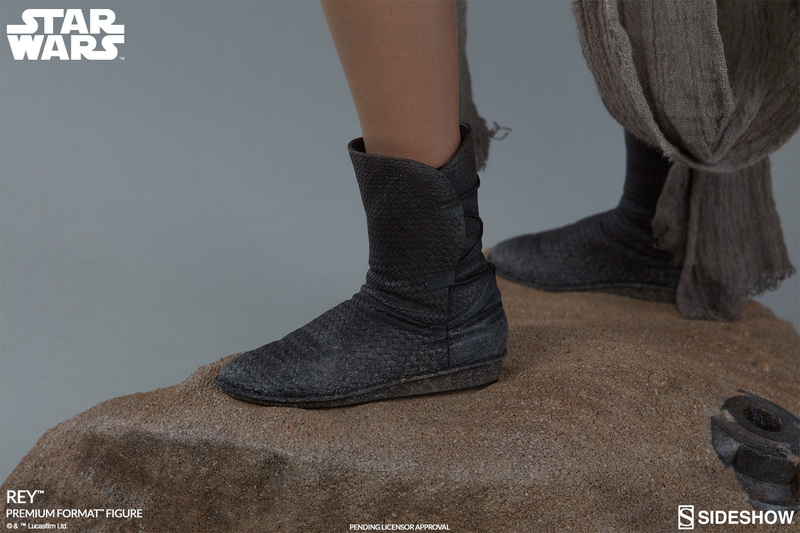 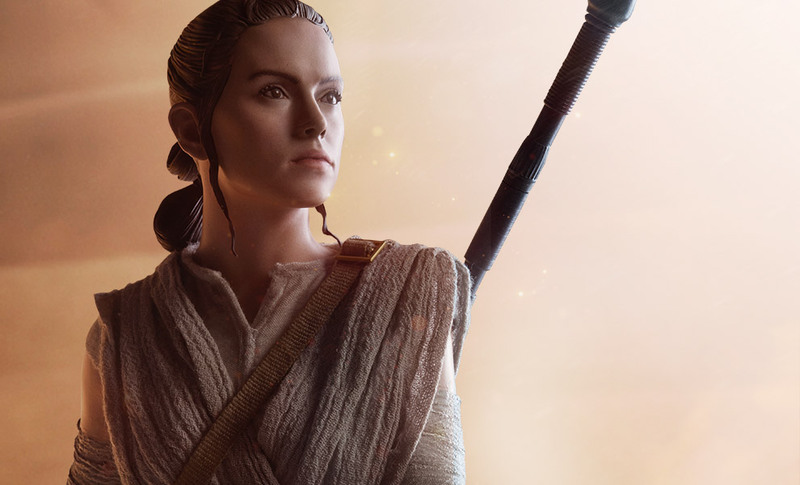 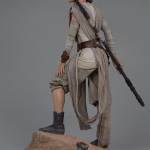 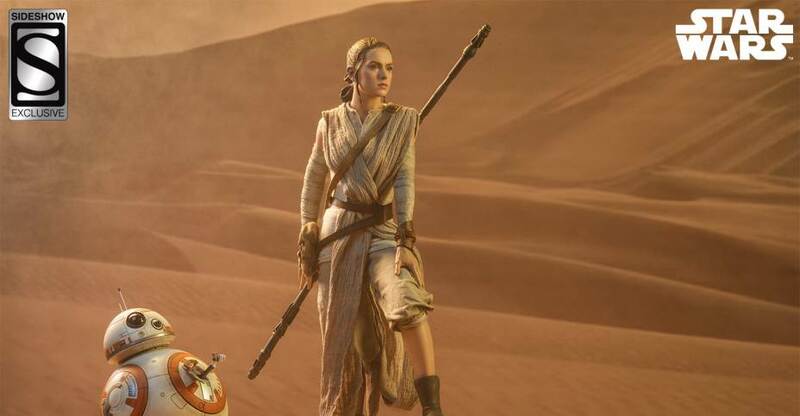 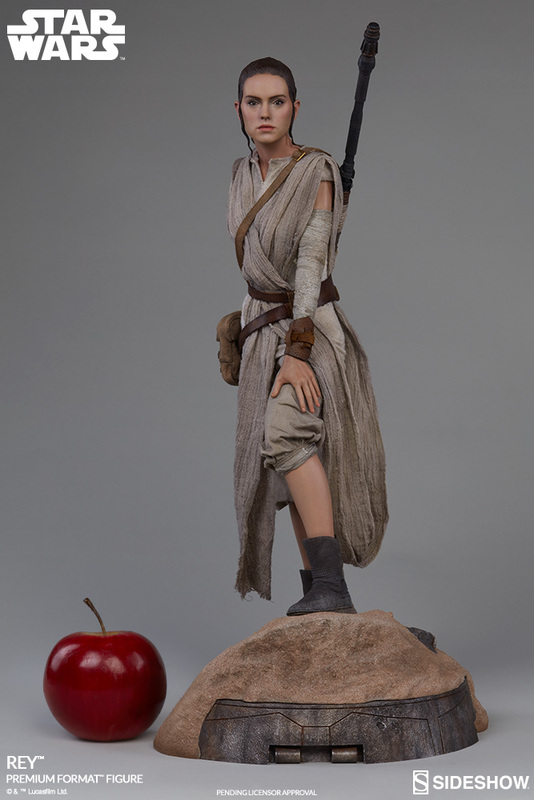 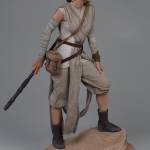 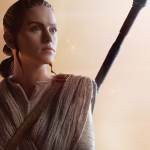 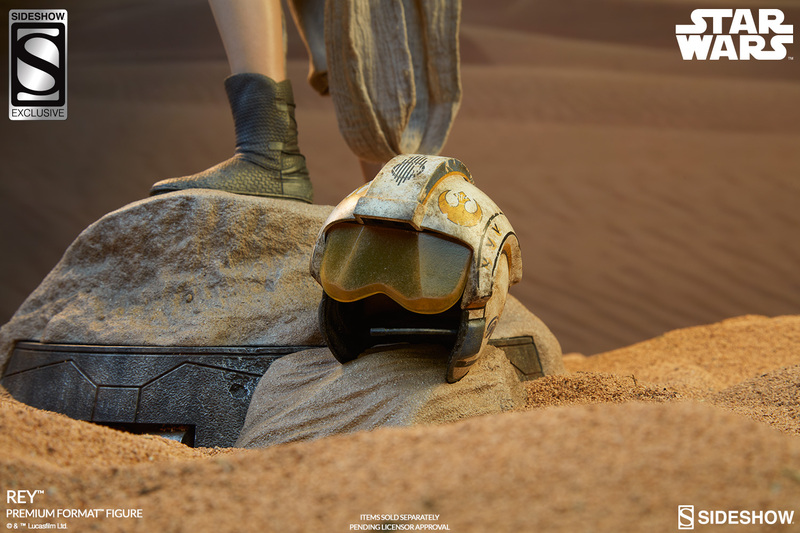 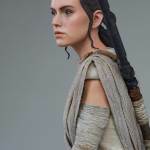 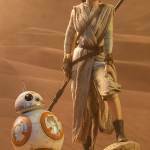 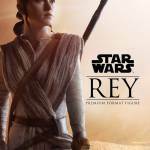 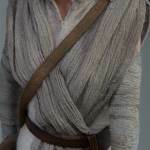 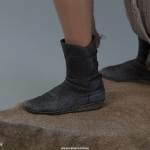 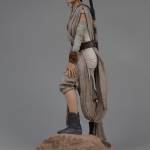 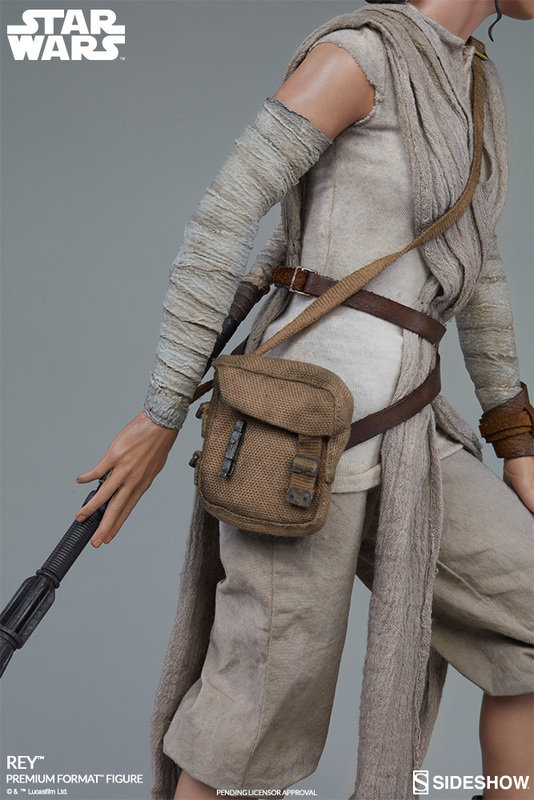 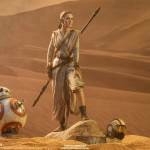 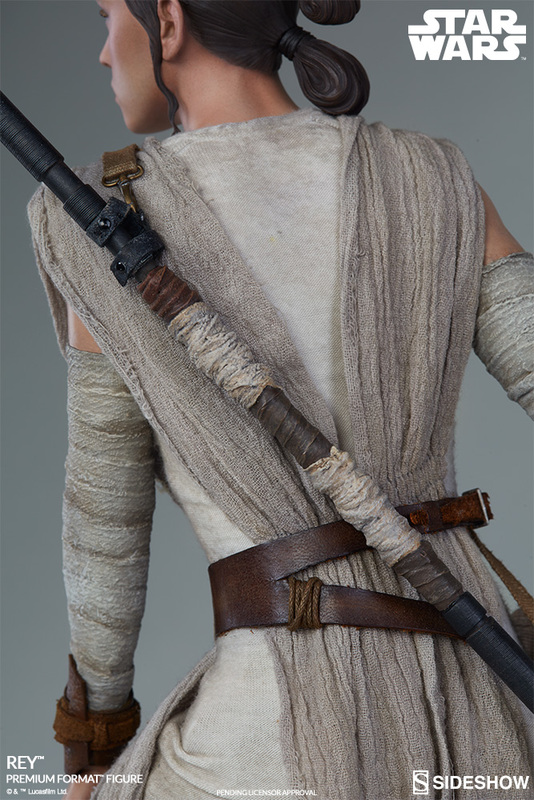 The Rey Statue will stand at 20″ tall, featuring the likeness of actress Daisy Ridley, a fabric outfit and carrying her staff. 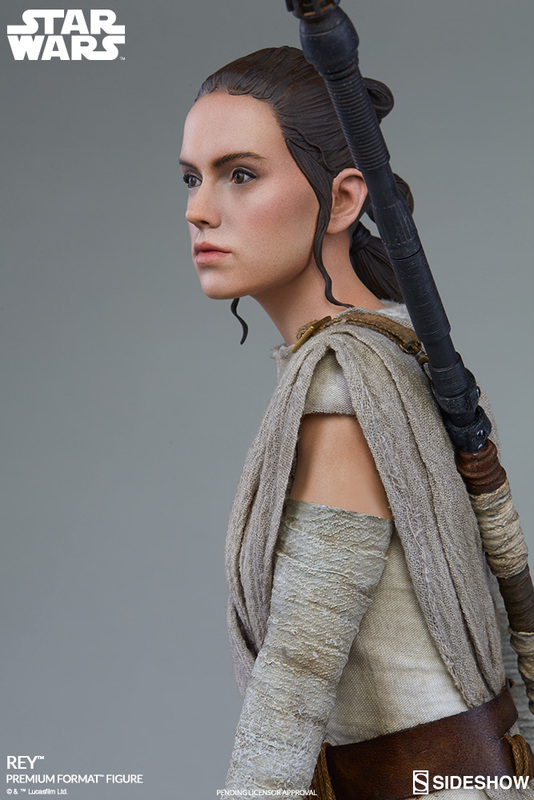 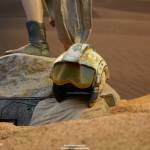 A Sideshow Exclusive version of Rey will include an X-Wing helmet. 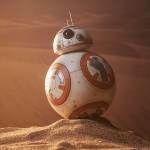 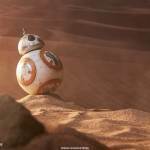 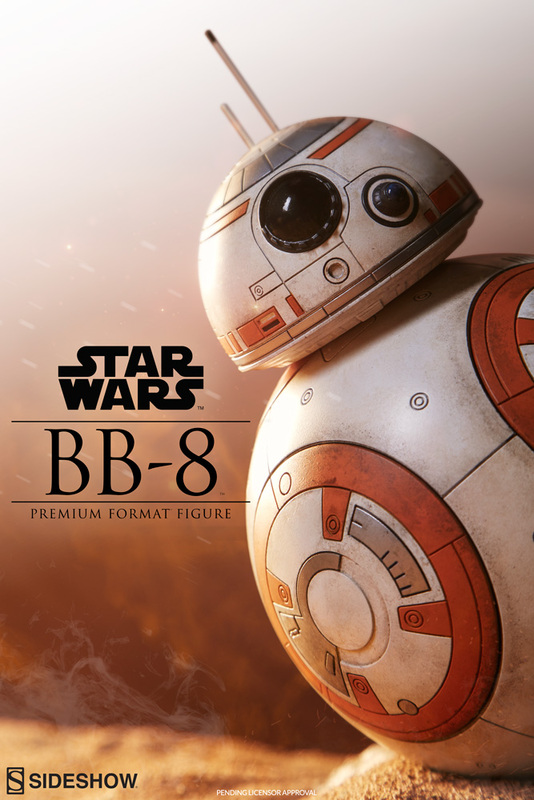 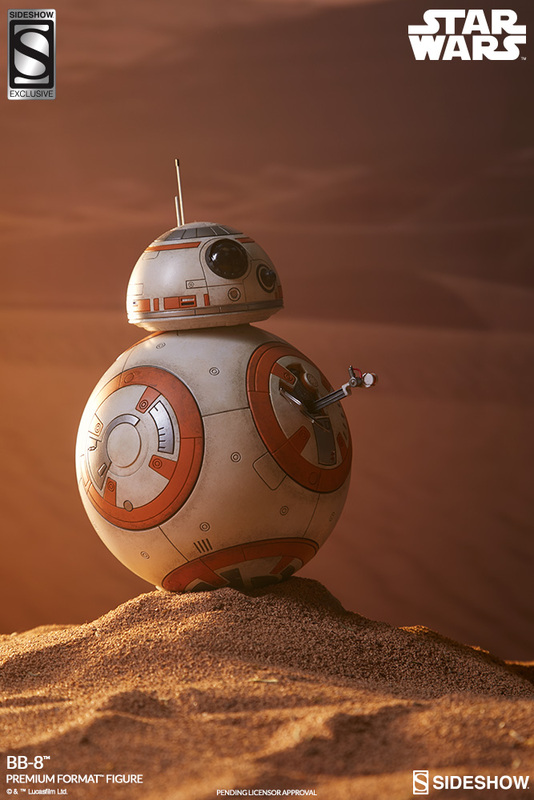 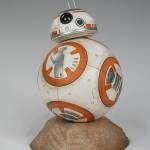 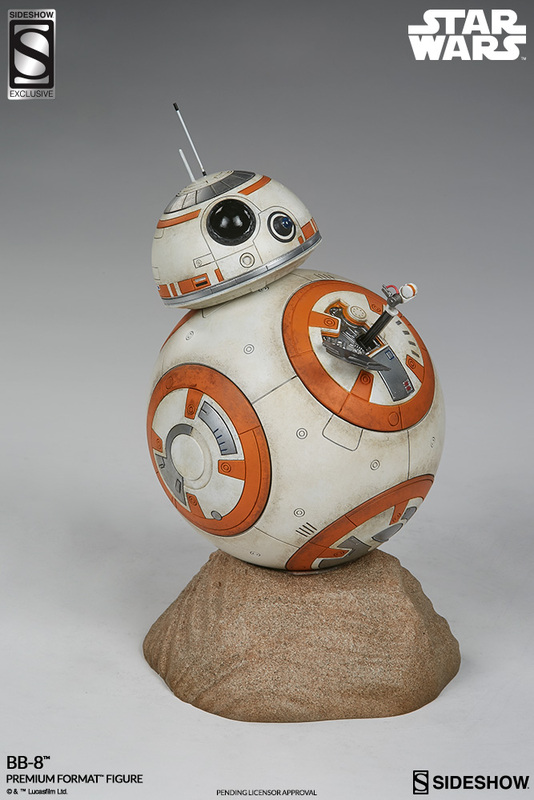 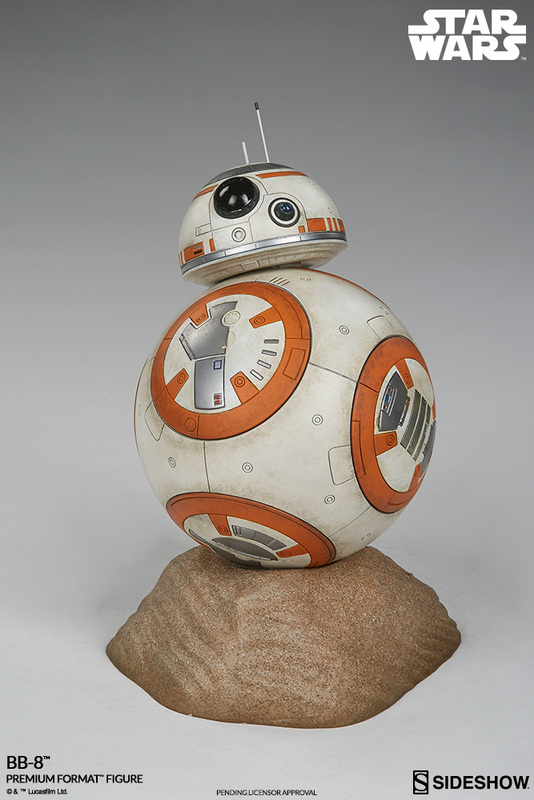 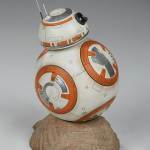 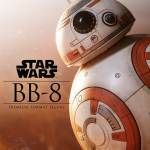 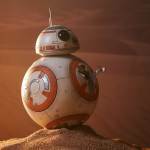 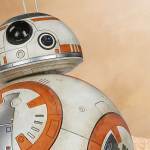 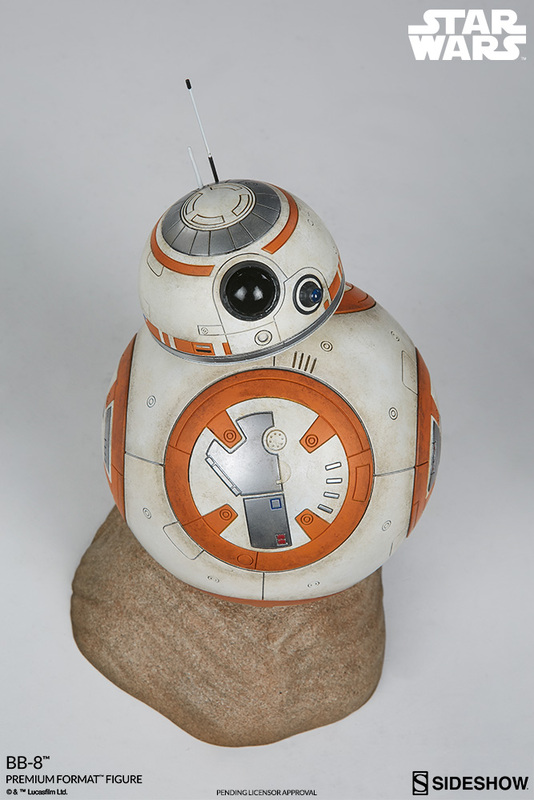 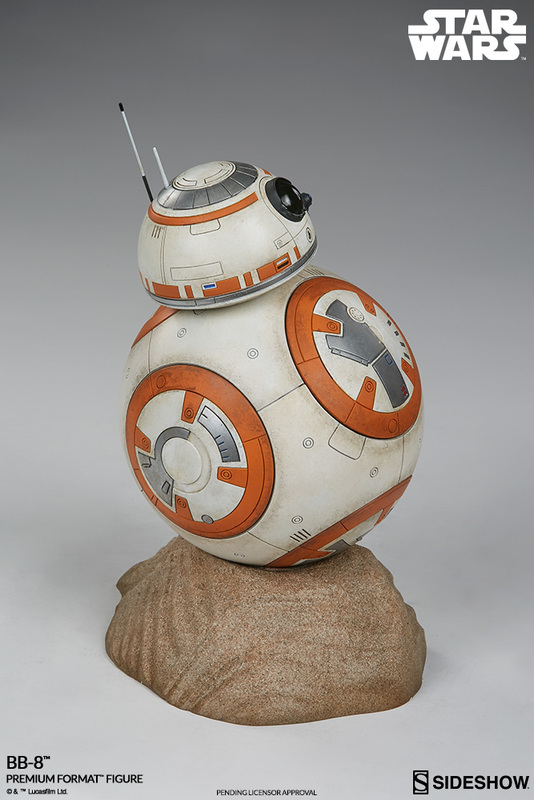 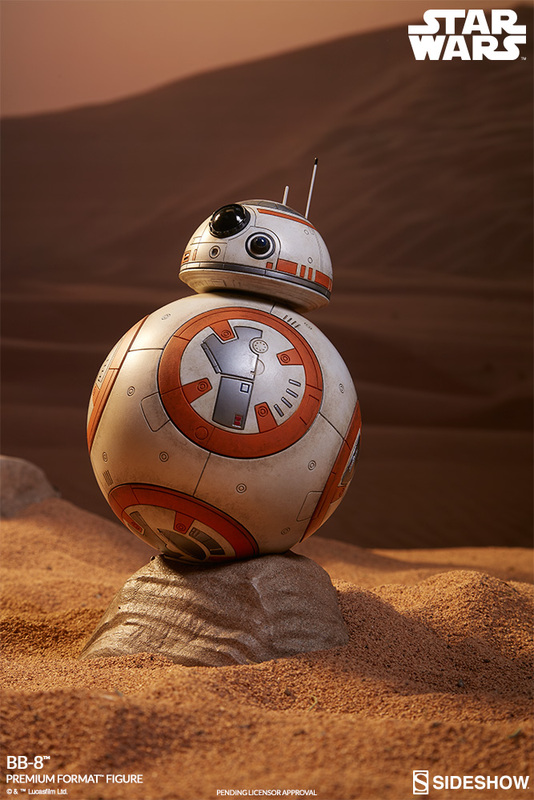 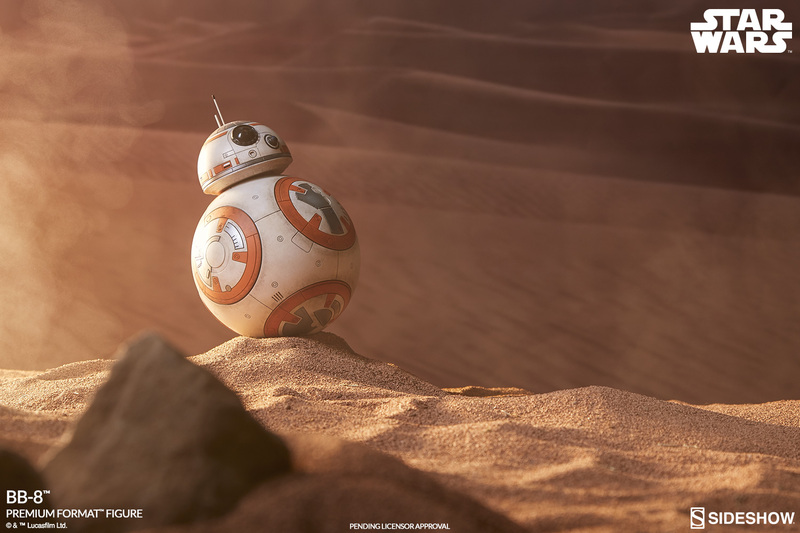 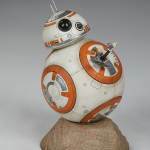 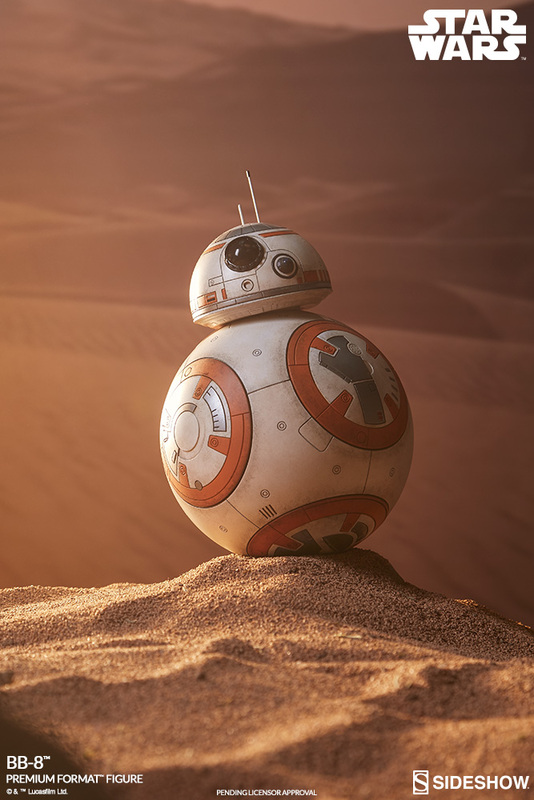 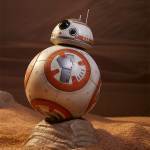 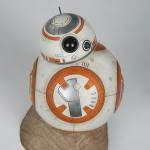 The BB-8 Statue stands at 9″ tall. 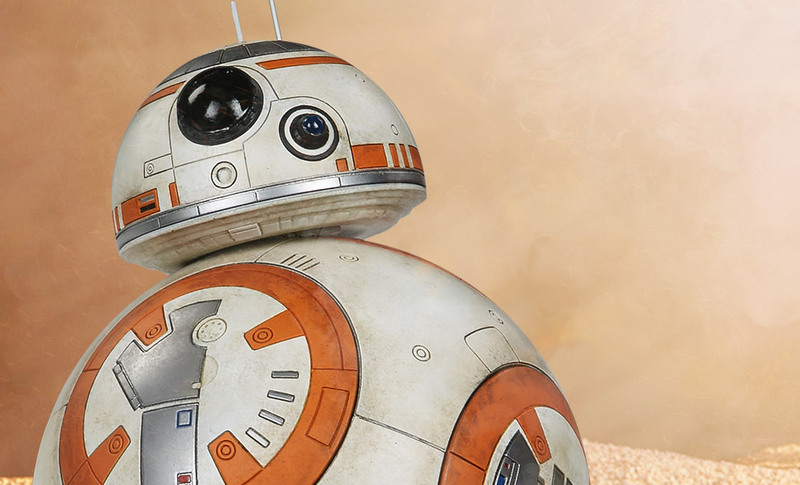 The dome and body will have light up LED features. 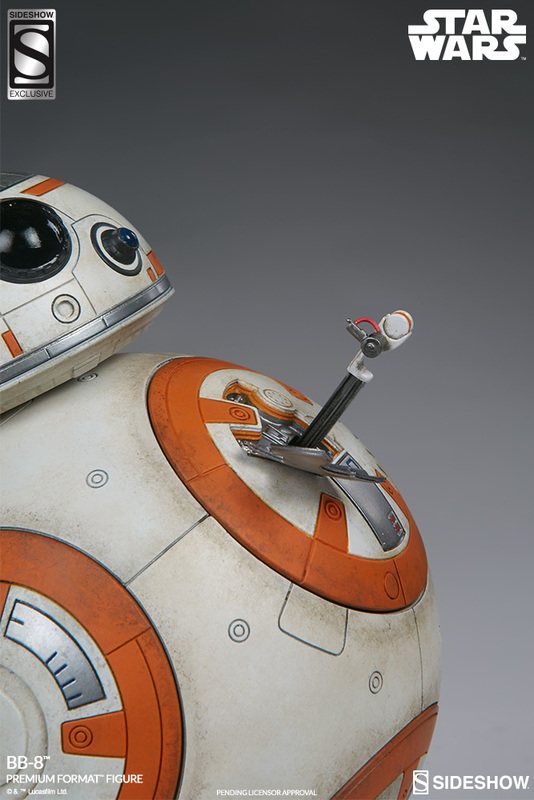 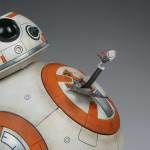 The Sideshow Exclusive version of BB-8 will include an interchangeable panel, with BB-8’s welding tool giving the “thumbs up” sign. 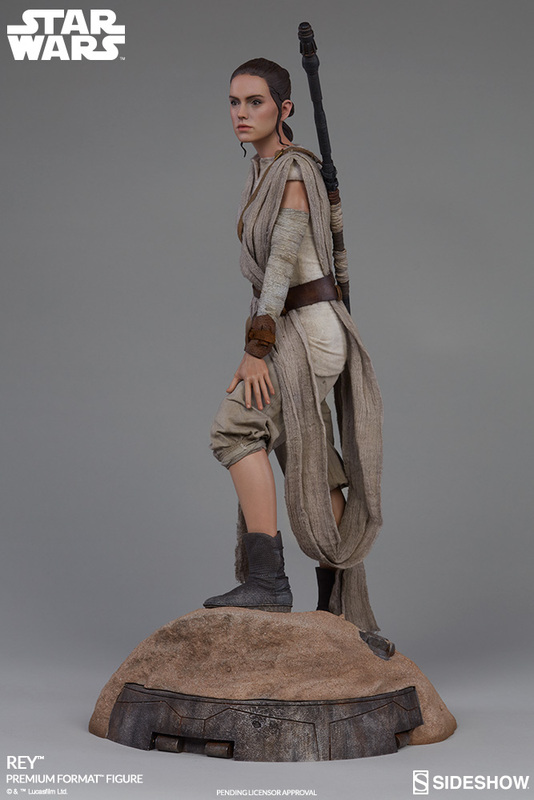 Pre-orders for these Star Wars Statues go live tomorrow. 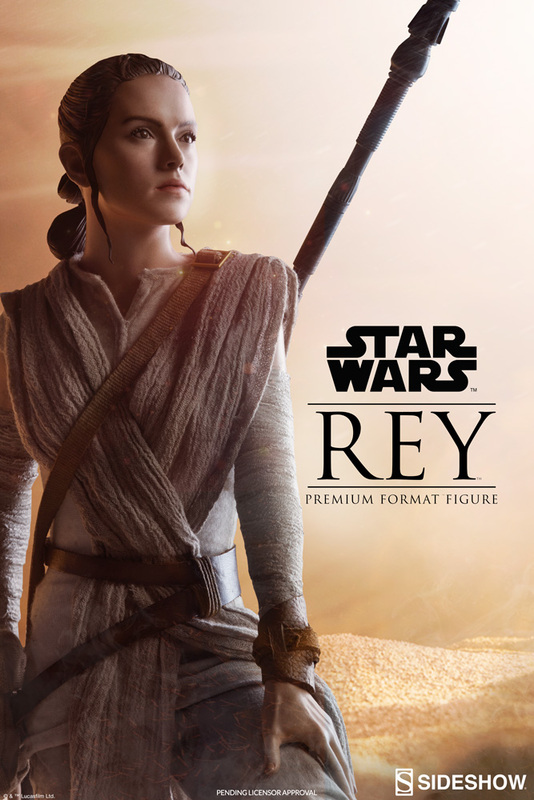 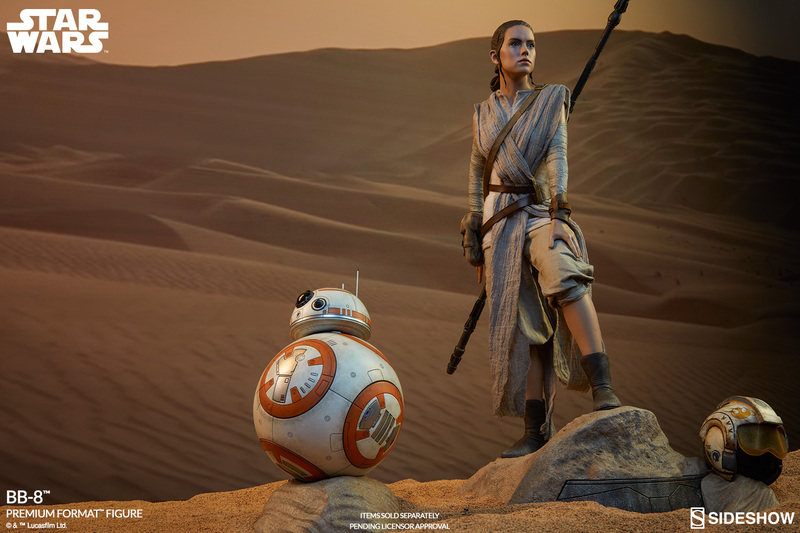 Rey will be priced at $479.99, with BB-8 being priced at $284.99. 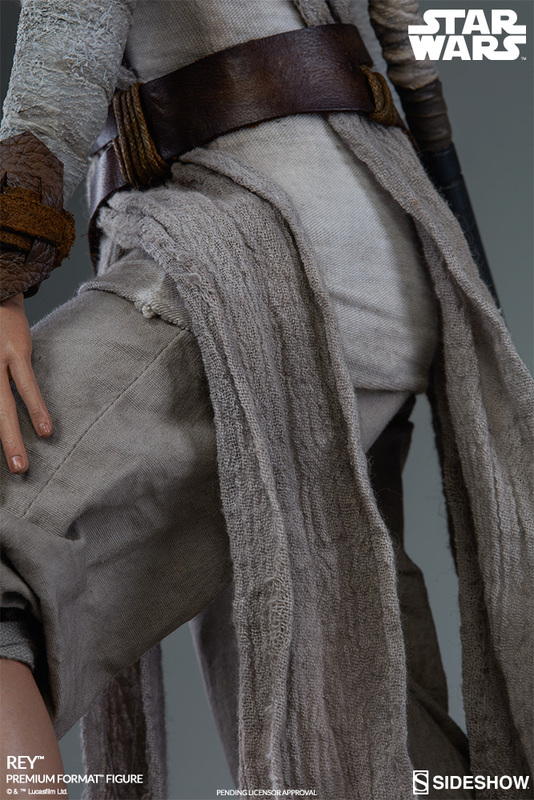 Check out all of the new photos after the jump. 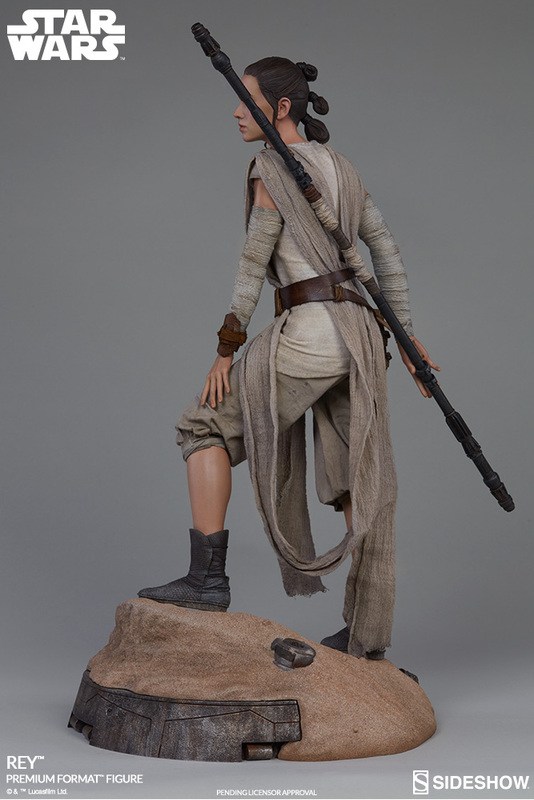 That looks like a very nice sculpt, probably the best to date. 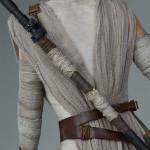 I'm waiting for the actress to wear something besides those mummy wrappings.